Talya Baharal is a self taught jeweler who works in collaboration with her sculptor husband to create one-of-a-kind jewelry, wall pieces and sculptural objects. 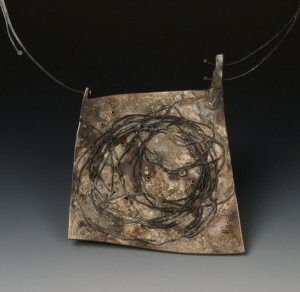 Her recent Urban Landscape series incorporates handmade flax paper, which she uses as a skin over a skeleton of steel wire. The series explores the beauty of decay.